Successful silent auctions follow a process, a repeatable process, that is easy to learn but sometimes difficult to implement. The process is not just about laying out items with silent auction forms and hoping someone will bid. The most successful silent auctions are designed to cause people to bid higher and think less about "bargains and deals." Think "Walmart," now think "Neiman Marcus." Which would you expect to command higher prices? If you have heard of Silent Auctions but have never been to one, here is a quick explanation of a "Silent Auction"
At a silent auction, items are placed on tables typically, with a silent auction bid form in front of each item for sale. There are generally two kinds of silent auctions, and the process is different for each. In one case the bidder decides what to pay and advances the bid by whatever amount the bidder wishes to (generally following a minimum bid and minimum raise structure) and then adds their bid-step to the prior bid, and writes the new higher amount on the bid form in front of the item. 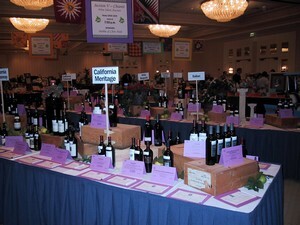 This is the "Traditional Silent Auction System." In the second case, the bid advances are pre-determined based on the value of the item, and the bid-steps are pre-printed on the form, thus requiring no "math" by the bidder. It would not be possible for the bidder to fail to advance the bid by the minimum since the amount of the next higher bid is already printed on the bid form. The bidder needs to only place his/her bid number next to the amount they wish to pay. Often in the second type of system, a "Guaranteed Purchase" option is included which would allow the bidder to buy the item right away and avoid losing it to a higher bidder. The Guaranteed Purchase amount is set at a premium well above the actual value of the item, so if a buyer really wants to "win" that item, and is willing to pay that premium, so be it. A good silent auction pays attention to lighting, space considerations (you must allow enough space to properly display each item - this is critical to your success), professional looking bid forms, pre-set bid steps and properly printed and easy to read bid forms produced by auction management software, access (can the bidders get to the tables without fighting through a crowd?) and of course, WHAT is being sold. 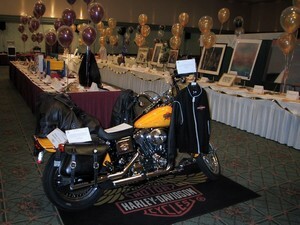 Also a consideration is whether the silent auction represents a "buyers market" or a "sellers market." A buyers market is created when there are more items than bidders, and a sellers market is created when there are more bidders than items. Having more items does not always make you more money!! It is possible that adding additional items beyond a reasonable number relative the size of your audience is merely spreading the same money around over more items. More items can actually HURT your revenue by making the items you have less attractive due to space restrictions, and the amount of time it takes to get around to see everything. It is actually possible that by cutting down on the quantity of the items you increase your revenue by having an apparent higher quality of display. A great booklet is The Top Ten Pitfalls of Silent Auction Planning . . . And How to Fix Them which is free as a gift from us. Click here to get one sent to you with our compliments. All we ask is that if the tips help you raise more money, you send us an email and let us know! You will also get some great instructions as well as some pictures of successful silent auctions in the Benefit Auction Resource Book, available for purchase.